As 2015 is coming to an end I felt it would be good for me to look back at 2015, a year which has found me coming out of my comfort zone to spend my Summer in the USA working as a Summer Camp Counselor. Something I'd have never thought I'd be doing this year and I'm so so glad that I had the opportunity to do so. If you want to know more about my Summer Camp experience you can read my full post here. Aside from working at Summer Camp I have been able to do so many other incredible things this year including; enjoying a trip to London with my lovely Mum,celebrating my 21st Birthday (full post here), going to gigs (you can read my post about the Kaiser Chiefs gig here), attending my first ever blogger event (full post here) and spending time with my lovely friends and family. 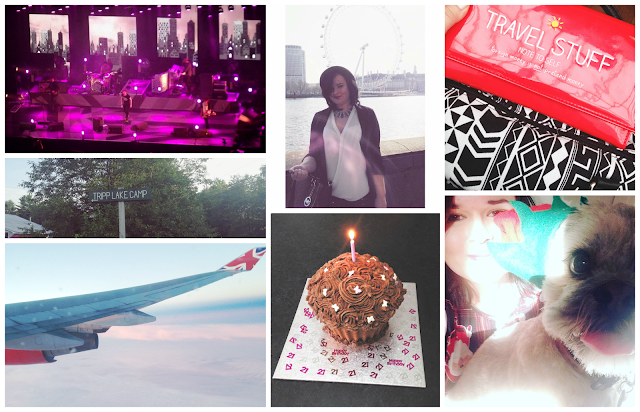 At the risk of sounding extremely soppy 2015 has been an incredible year for me and although I don't usually share personal posts on my blog this was one that I really wanted to share with you all. Sending you all lots of love and best wishes for 2016!